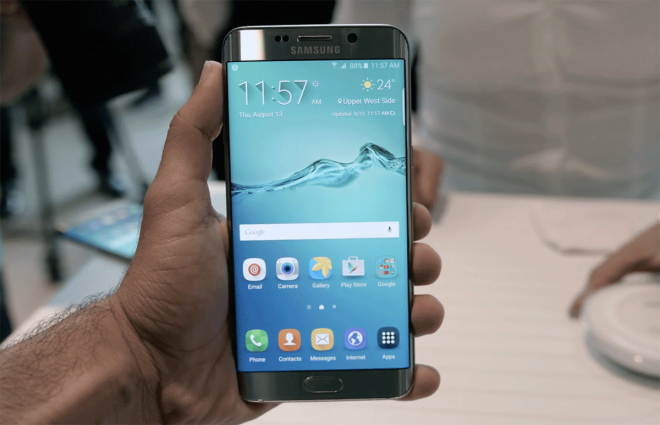 In addition to an update for the Galaxy Note 5, T-Mobile is now pushing an update to its Galaxy S6 edge+. The new update for T-Mobile’s Galaxy S6 edge+ is version G928TUVU4EQE1 and it weighs in a 223.57MB. 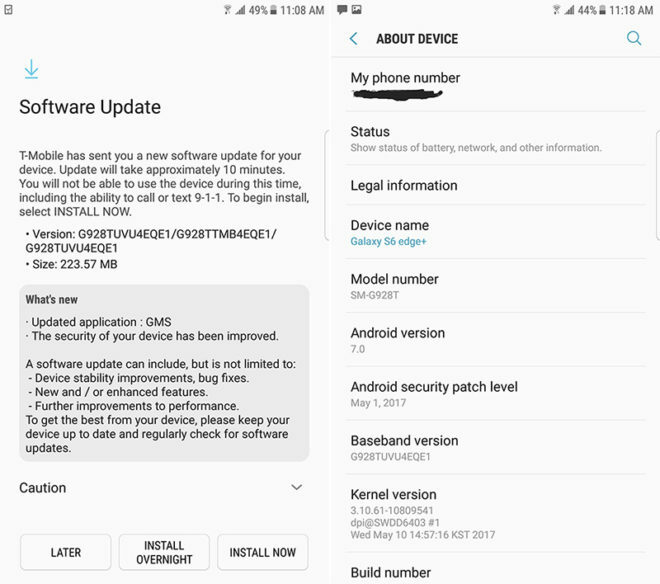 TmoNews reader Alex got the update earlier today, and as you can see below, it includes the May 1, 2017 security patch level just like the new Note 5 update. T-Mobile has updated its support pages for both the Note 5 and S6 edge+ to show that both updates also include a fix for an intermittent call failure bug as well as Android 7.0 Nougat for any users still on the DQC2 software. If you’ve got a Note 5 or S6 edge+ and haven’t yet gotten this update, you can check for the update by going into Settings > About device > Download update manually. i hope Samsung updates the s7 edge to fix this damn lag. my phone was working great before the nougat update. if i need to buy an app jus to make my phone run decent, i might as well look at other oems like apple or oneplus. i did do a factory reset. its the same results. my note 4 doesn’t even lag this bad. UMM Is the galaxy s6 older than the 6 edge+?